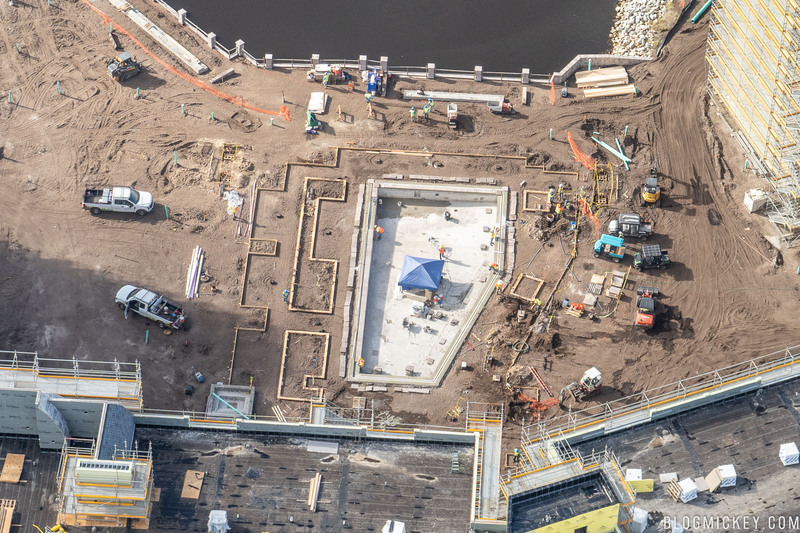 We took to the skies recently to get a unique view of a variety of construction projects around Walt Disney World. 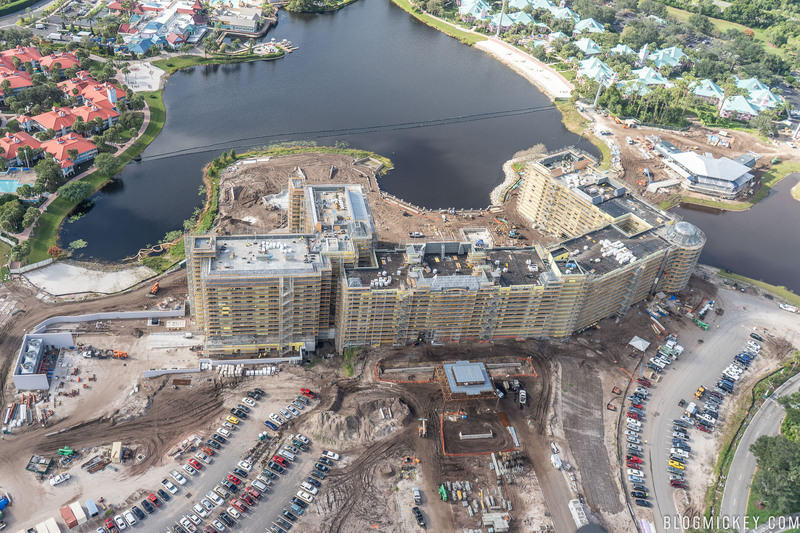 Today, we’re back with aerial views of the next Disney Vacation Club property – Disney Riviera Resort. 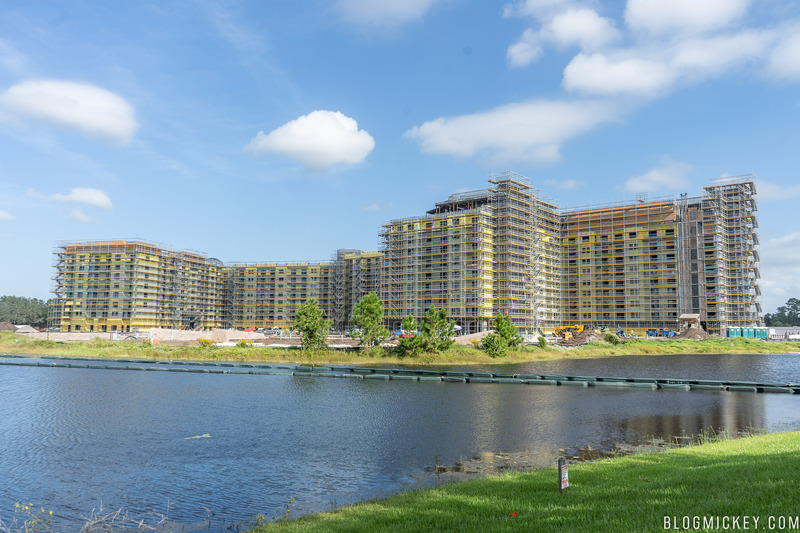 The resort is the 15th planned DVC resort and will be located near Disney’s Caribbean Beach Resort. 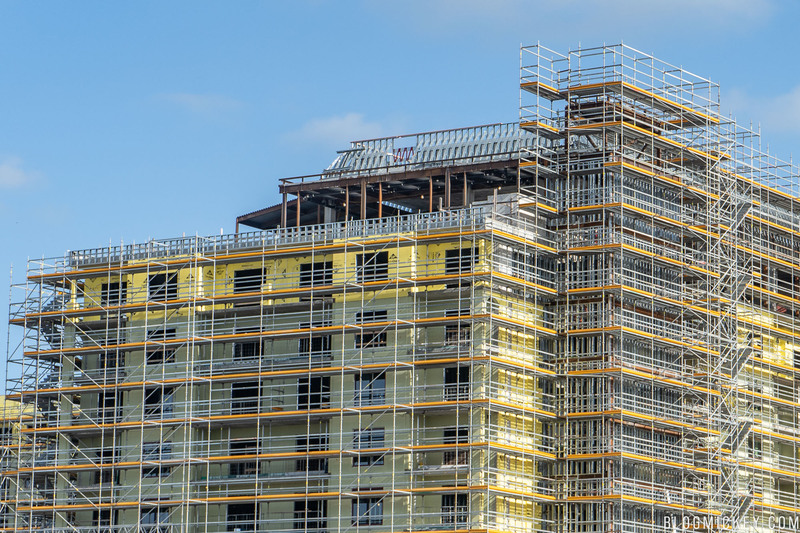 The resort is currently scheduled to open in Fall 2019 and will be connected to Epcot, Disney’s Hollywood Studios, and other resorts via the Disney Skyliner gondola system. 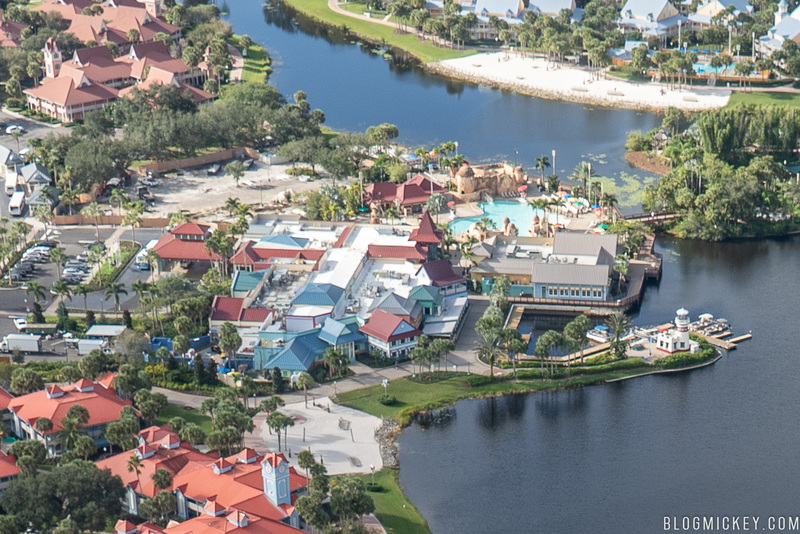 First, here’s an overview of the resort and the newly reimagined Old Port Royale area of Disney’s Caribbean Beach Resort. The new Old Port Royale area contains a reimagined lobby and Centertown Market, as well as the all-new Sebastian’s Bistro and Banana Cabana. 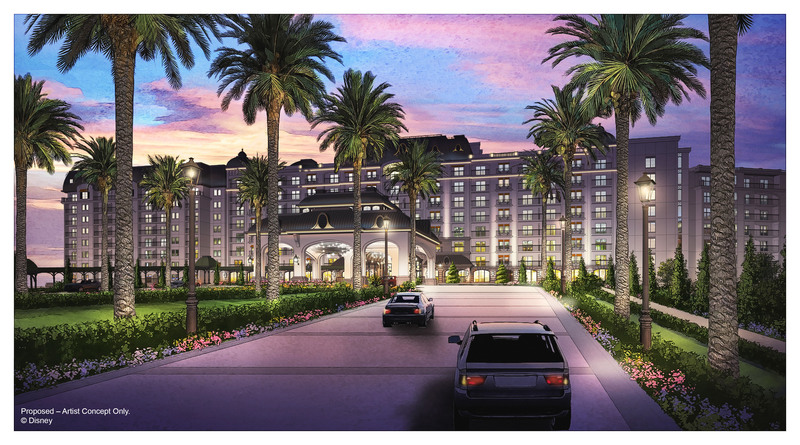 Back to Riviera, we can see that the Porte-cochère has been constructed at the front of the resort. For a look at what the arrival experience will look like, here’s the concept art released by Disney. 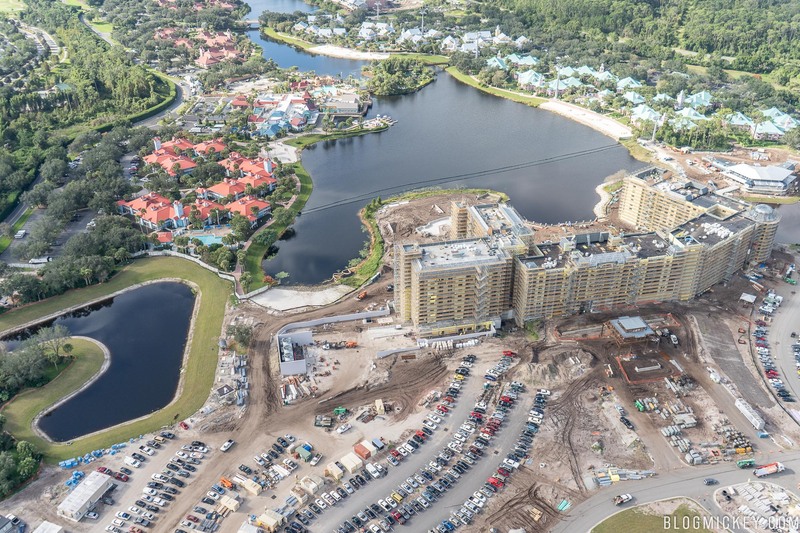 Here’s an overview of the resort footprint, including Disney Skyliner station on the right side of the photo. 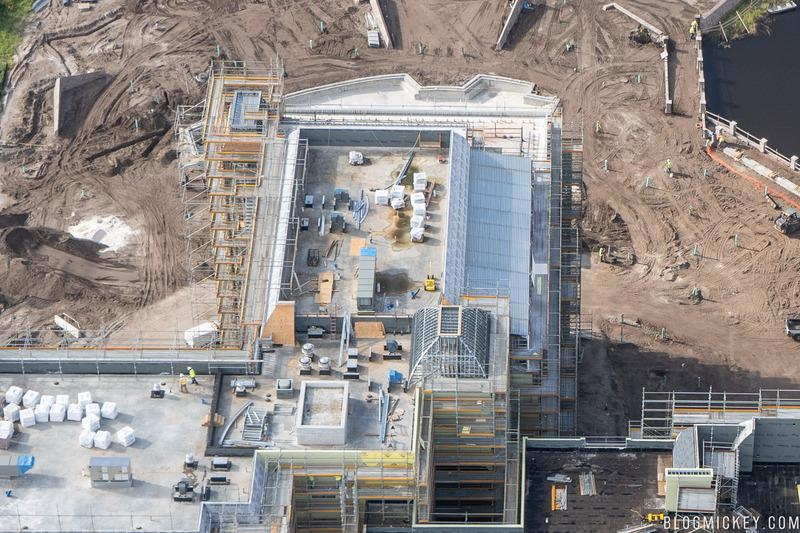 Disney also announced a “rooftop restaurant that will offer unbelievable views of nighttime spectaculars at both Epcot and Hollywood Studios.” It appears that the restaurant will be located atop the eastern wing as seen in the photo below. 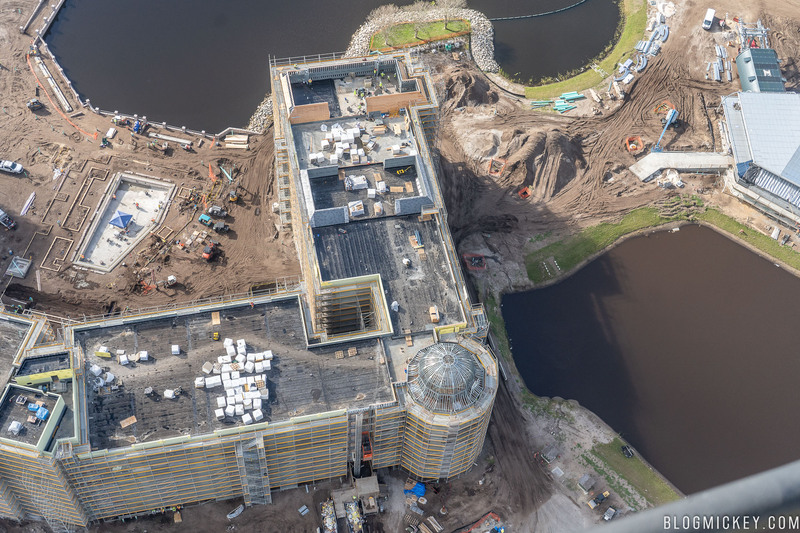 Another angle from the air reveals the rooftop restaurant and a zero-entry pool below it. Here are some additional looks at the rooftop restaurant from the ground. 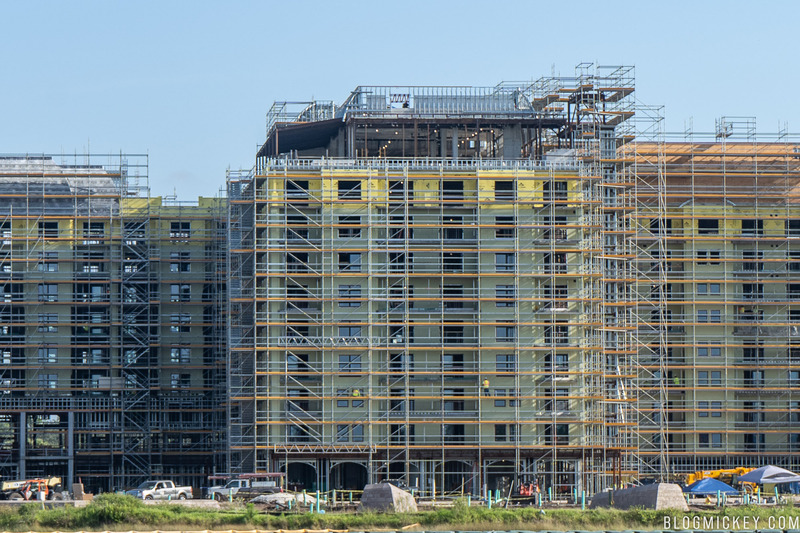 A wider look at Disney Riviera Resort from the ground. 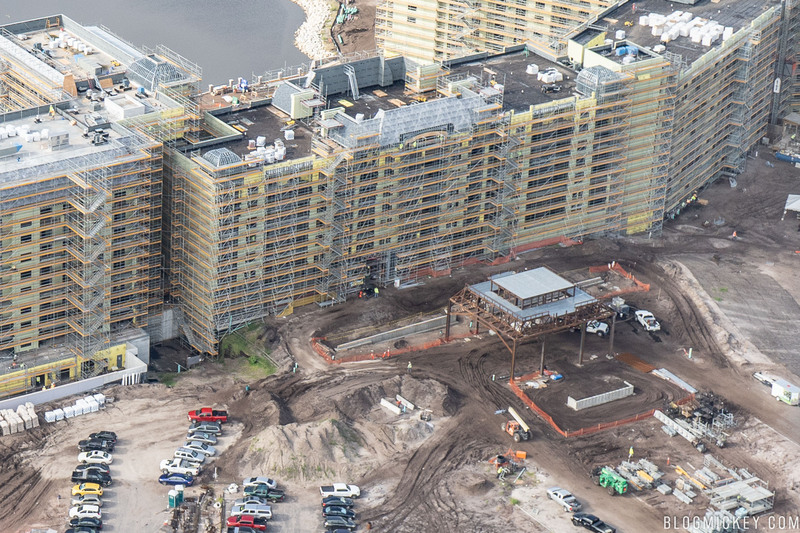 In addition to the zero-entry pool seen above, a second pool is taking shape at the resort. Finally, here’s a look at the proximity of the resort to the nearby Disney Skyliner station. We’ll have a more in-depth look at the various Disney Skyliner stations in a later post. 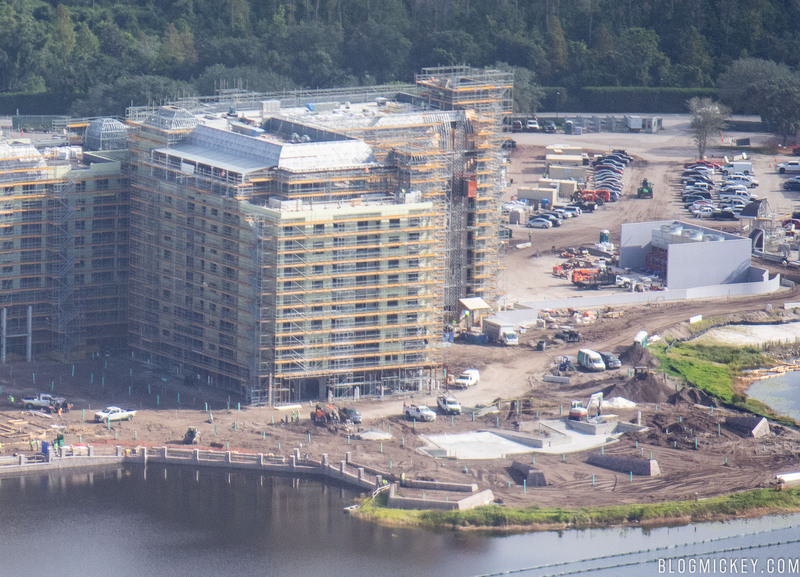 Disney Riviera Resort is expected to open in Fall 2019.